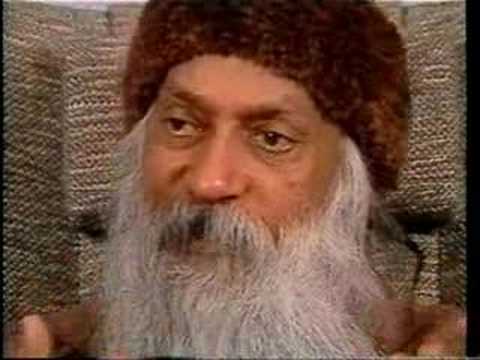 Before I share another maroon robed meditation session first up is my first OSHO Multiversity course I attended which revealed even more about this place. I’d recommend a cup of tea as this article is my largest yet at GO! Smell the flowers at 2,669 words. It needs sharing as the plot thickens as I am intent on writing a true account of my experience here, good, bad, indifferent or no-mind as OSHO might say. He mentions flowers! Time to get to class – I’d signed up for……..
Go! Smell The New Computer! So, yes, finally I am in the modern world now. I finally bought a laptop computer! In January, I was in a car accident. We finally got the settlement for the injuries I sustained in the accident. So, with part of the money I decided to get a laptop. I used to sit in this dark corner of our dining room and I was so sick of not being able to watch TV and do my work. How exciting is that, I have never been able to go out and buy something without worrying about how much money it is so I was so excited to buy this one. I am super impressed at how fast it runs…which brings me to one of the disadvantages. A lot of the things I used everyday from my huge file of pictures is on my other computer. BUT, I am too lazy to turn that old one on because it take literally 20 minutes before I can even get on the internet after it turns on. It’s great to take my work with me, because I already work 14 hours a day at least and 7 days a week. What have I got myself into? What do you like about new things you buy? My last work related post did so well, I figured I’d continue in this vein. Freelancing for me has been an incredible experience. I actually started freelancing before graduating college, so I’ve never actually had a proper office job, just working from home. Of course, that means I’m not making money hand over fist but I don’t have to get up at six o’ clock in the morning or pay lots of money for a closet full of suits either! At least I’m not wearing this to work every day! On the plus side, I haven’t stopped learning since I started working. It’s always a new experience and every new client or project teaches me a new skill. Like right now I’m working on some simple slideshow videos for one client and this is a whole new area for me, but they are really simple, nothing at all like Mike’s work. :) I’m learning about audio software, the process of planning out a video, making slides and even just timing the audio with the image properly. It’s all going to be distributed across the web, so maybe I’ll get to post one for you guys in a month or so. What do you love the most and hate the most about your career choices? I just finished up a long and tedious project for one of my clients. All I can say is wooooooohooooooo! It’s like a ton of brinks off my shoulders, a feeling I can unfortnently say I’ve had before as a freelancer. I’m inserting this tomato because I like how red it is and honestly couldn’t find a good picture mimicking a ton of bricks! Everyone’s had some kind of project whether it just be the dreaded math homework from their school days to the more involved hassle of life on the job that’s been like a heavy weight on their shoulders. What’s the last project you had that just took forever to finish?